This article is contributed by one of our summer interns, Elena DiGrado, who worked on this newest addition to our collection. When I picture a police matron in the early 20th century, I imagine the corrupt Matron “Mama” Morton from the hit Broadway play, “Chicago.” Her character represents our modern stereotype of a woman in her profession. Matron “Mama” Morton receives bribes from the young murderesses of Cook County Jail in exchange for contraband (i.e., cigarettes and liquor) and legal assistance during their trials. In her solo performance, she expresses her motto explicitly, singing, “When you’re good to Mama, Mama’s good to you.” Although “Mama” Morton entertains audiences, she represents a false conception of early 20th century police matrons. The National Law Enforcement Museum recently acquired a new collection that focuses on the life of Davenport, Iowa’s, Matron Sarah “Sadie” Hill. The Museum plans to use the collection to reconcile the public’s perceptions (or misconceptions) of police matrons’ roles in American society with who they actually were. The collection includes several newspaper articles detailing her positive role as the city matron and some of her personal items, such as her black shawl, bonnet, and hand mirror, along with nine photographs and a bundle of hair from an unknown person. Matron Hill was a member of a national organization called the Western Police Matron Association, and the collection also contains ribbons from annual conferences, including the one held during the 1904 World’s Fair in St. Louis, Missouri. Bonnet, hand mirror, photograph, newspaper articles, and ribbons, Hill Collection. 2010.29.4a, 6, 13, 1, 11. Collection of the NLEM, Washington, D.C. The position of the police matron began in the 1890s and quickly became the trend for major cities in America. 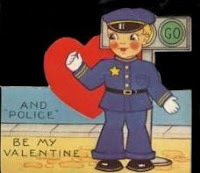 Right before the turn of the 20th century, law enforcement in America found themselves in desperate need of assistance with social problems they were expected to handle, in addition to crime. As cities urbanized, more and more young women lived without the protection and support of families and in jeopardy of descending into the sway of prostitution in local brothels. Prior to police matrons, male officers handled arresting women and were confounded by the abandoned children, elderly, and homeless people on the streets who all needed the basic necessities of life, such as food, clean water, and shelter. These individuals did not break the law, and people argued that they did not belong in jail with law breakers because of their unfortunate circumstances. The “Police Matron” became the chosen solution to these problems. These women first dealt with female prisoners, but they soon extended out to serve as social worker, counselor, and welfare officer as needed. According to Sharon E. Wood’s The Freedom of the Streets: Work, Citizenship, and Sexuality in a Gilded Age City, Sarah Hill was the second matron appointed by Davenport and was assigned to her position in 1893. She dedicated her life and service to the protection of those who could not help themselves from the perils of urban decay. This new collection of Matron Hill’s effects gives evidence of how one police matron exemplified the ideas behind NLEM’s mission statement. Helping abandoned women, old people, children, and the homeless, her acts created a positive relationship between law enforcement and the public. Also, through the duties she performed, she successfully contributed to a safer society and served to uphold the democratic ideals of the U.S. Constitution. With this collection, researchers can further investigate the role of police matrons in American history and how their involvement established the role of women in the law enforcement field. Matron Hill’s story provides another view of what I once thought was the role of a matron, and I look forward to delving further into her life and her service to the citizens of Davenport, Iowa. No, there’s not a new version of the hit T.V. show in the works, although I think our nation’s capital would make a great setting. The National Law Enforcement Museum is committed to exploring all aspects of law enforcement, and right now, one of the areas we’re focusing on is forensics. I’ve written in the past about our “What’s in the Evidence?” program which is currently in beta testing. But there’s another new program in the works: an online, forensics-based activity that will allow students in grades six through eight to take a case, analyze the evidence, and then present the evidence in court, possibly leading to a conviction. 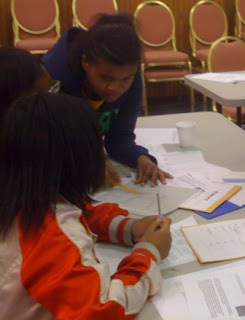 Students doing the online activity will use science reasoning skills as they work on the case. And in contrast to shows like “CSI,” “Cold Case,” or “NCIS,” they’ll have the opportunity to see how evidence is used throughout the whole law enforcement system. They’ll also get to see that not all evidence is as conclusive as the TV shows make it seem, hopefully preparing students to be more informed jurors when they get older. We’ll be consulting closely with experts in the field as we continue to develop the program so that our activity is more authentic than many of the TV shows currently airing. But I’m curious—have you ever watched one of the forensics-themed shows and wondered whether some aspect or technique they’ve used is authentic? What aspect of forensic science fascinates you the most? If you could incorporate any type of forensic science into an activity like this, which types would you choose to feature? We here at the National Law Enforcement Museum are thrilled to publicly announce the acquisition of an important addition to our growing collection: J.Edgar Hoover's estate, donated to us by the J. Edgar Hoover Foundation. Hoover served as director of the Federal Bureau of Investigation (FBI) from 1924 to 1972, and over his long tenure had a great effect on law enforcement in the United States. The collection includes artifacts that tell about Hoover the man, such as family photographs, his china and crystal sets, political cartoons, awards, recordings of his speeches, and presentation items. The more than 2,000 objects also include the papers of Morris Childs, an FBI spy who worked for many years inside the U.S. Communist Party. We're so excited to be able to care for this important collection and make it available to researchers and the public when the Museum opens in late 2013. We have so many interesting objects in our collections. Here are five I've selected, listed in no particular order. Photograph, ca. 1960. 2008.40.26. Collection of the NLEM, Washington, D.C. This image was probably used in a ca. 1960s FBI training session or lecture to illustrate the history of the use of fingerprinting in law enforcement. 1) “West Brothers” – Photograph, 1903. 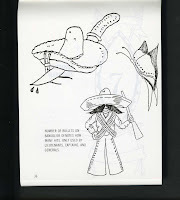 A case of mistaken identity at Leavenworth. The early years of the 20th century witnessed a transition from the Bertillon Measurement system, a process of identifying criminals based on measurement of anthropomorphic characteristics such as skull, arm, and leg measurements, as well as recording marks on the body, to the acceptance of fingerprints as unique identifiers of individuals. The case of the “West Brothers” is particularly illustrative of the reliability of fingerprinting over Bertillon Measurements. In 1903, Will West was committed to the penitentiary at Leavenworth, Kansas, where he was photographed and measured using Bertillon methods. Will West’s measurements were found to be almost identical to a criminal at the same penitentiary named William West, who was committed for murder in 1901 and was serving a life sentence. Furthermore, their photographs showed the two men to bear a close physical resemblance to one another, although it was not clear that they were even related. In the ensuing confusion when the identities of the two men were being confirmed, their fingerprints conclusively identified them and demonstrated clearly that the adoption of a fingerprint identification system was more reliable than the older Bertillon method. 2) Robocop 2 suit, 1990 (image coming soon). Just because it’s Robocop…and cool. This sci-fi action film is a sequel to the 1987 movie Robocop, a cinematic vision of law enforcement set in the near future. The Robocop saga is based on the tale of a law enforcement officer, played by actor Peter Weller, who was killed then resurrected as a cyborg entity programmed to fight crime. According to a 2002 Dutch-language interview with director Paul Verhoeven, the Robocop character was based on comic book action hero Judge Dredd and was inspired by the futuristic film Blade Runner. The successful Robocop franchise includes two sequels, branded merchandise, an animated television series, and comic book adaptations. Identi-Kit, Model II, Smith and Wesson, ca. 1976. 2009.4.18. Collection of the NLEM, Washington, D.C. Composite images created from many different facial components were assembled by hand to produce an image of a criminal suspect. A composite image created from randomly selected foils from the 1976 Identi-Kit Model II. Do you know who this is? 3) Identi-Kit Model II, Smith and Wesson, 1976. A reminder that things weren't always as easy as they are today. The Identi-Kit Model II is the second iteration of a composite facial feature reconstruction process used by police departments to help identify criminal suspects. 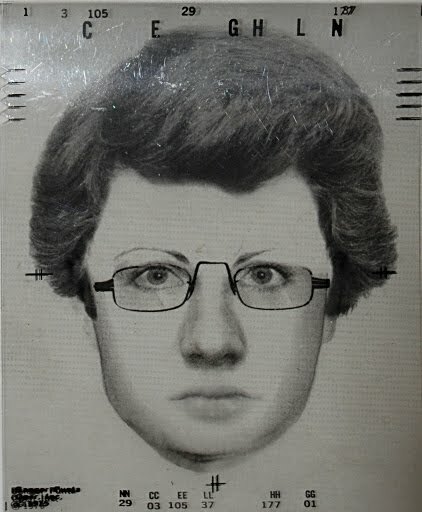 First produced in 1959, the original Identi-Kit consisted of hand drawn facial feature components which were mounted on transparencies called “foils.” Individual foils were layered atop one another to create a face, which was then mechanically copied and circulated to aid in suspect identification. 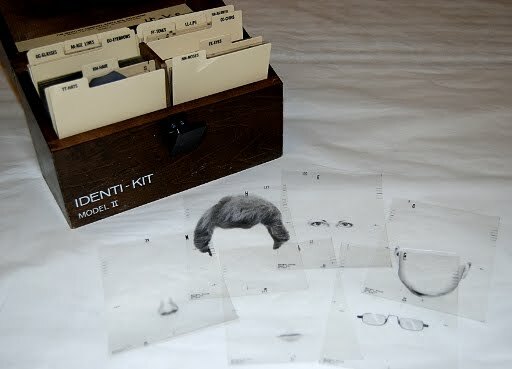 The Identi-Kit in the NLEM collection is the second version, which was developed in 1976 and contains photographic, rather than hand-drawn, facial features mounted on foils. In 1989, the first software version, Identi-Kit Model III, was introduced and its Internet-based use continues today by law enforcement agencies. Lunch box, Adam-12, ca. 1973. 2007.43.163. 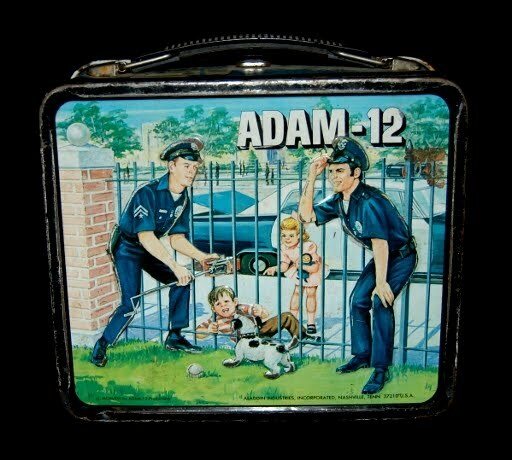 Collection of the NLEM, Washington, D.C.
4) Lunchbox, Adam-12, 1973. 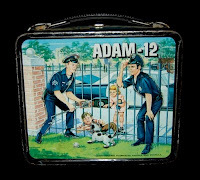 People of a certain age will remember not only the television show Adam-12, but also the status of carrying a lunch box with colorful depictions of these fictional law enforcement heroes to school. Jack Webb, of Dragnet fame, produced this popular television series, which ran from 1968 to 1975. The show was based on the experiences of Los Angeles Police Department officers and strove “for absolute authenticity as far as police technique and procedure is concerned.” Starring Kent McCord as Officer Jim Reed and Martin Milner as Officer Pete Malloy, the worn metal lunch box depicts exciting scenes from the show: apprehending dangerous criminals in dark alleys, the tension of speeding toward a call, and community-friendly interactions with children and puppies. The lunchbox was originally produced with a matching thermos, missing from the artifact in the NLEM collection. Traffix Accident Reporting Kit, Forbes Stamp Company, unknown date. 2008.26.15. Collection of the NLEM, Washington, D.C.
5) Forbes Traffix Handy Accident Reporting Kit, unknown date. This unique kit contains 18 wooden and rubber stamps with a variety of vehicle illustrations, including cars, trucks, bicycles, and various combinations of these vehicles, presumably to illustrate traffic accident situations for reporting purposes. This intriguing artifact is missing documentation and the ink pad, and may date from before 1940. 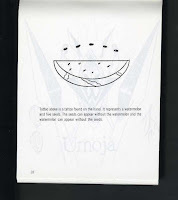 The kit is, however, accompanied by a c. 1960 instruction booklet, published by the Traffic Institute of Northwestern University in Evanston, IL, about how to use traffic template kits, although it is not clear that the Forbes kit and the booklet are related. Research still needs to be completed on this artifact, and it will be fun to track down the history of this kit and its manufacturer, the Forbes Stamp Company. If you have any information about the Forbes Traffix Handy Accident Reporting Kit, or about the Forbes Stamp Company, please contact the Museum. Museums often collect individual objects because they are important in and of themselves. Sometimes, however, we are able to make connections among various items and are able to tell a broader story. That has happened with a number of items acquired by the National Law Enforcement Museum over the last four years. In 2006, the Museum acquired six letters written in 1896 by the President of the New York City Board of Police Commissioners, Theodore Roosevelt. 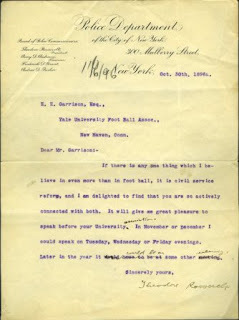 We were interested in these letters because Roosevelt wrote, “If there is anything that I love more than foot ball [sic] it is civil service reform.” (Pictured at right: Letter, Oct. 30, 1896. 2006.282.1. 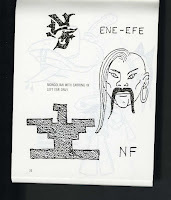 Collection of the NLEM, Washington, DC.) Most people know about Roosevelt because of his Rough Riders during the Spanish American War, and of course, because he was the 26th president of the United States (1901-1909). But these letters also talk about Roosevelt’s interest in reform while heading up one of the most important police departments in the country, as well as the professionalization of law enforcement in the late 19th century. Also in 2006, we acquired an 1884 cartoon drawn by one of the most important political cartoonists in the 19th century, Thomas Nast. 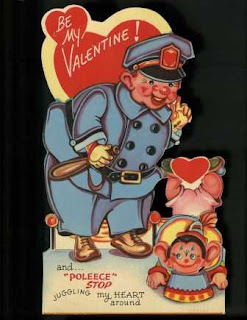 We acquired it because it depicted a law enforcement officer. Political cartoon, Harper's Weekly, May 10, 1884. 2006.406.36. Collection of the NLEM, Washington, DC. 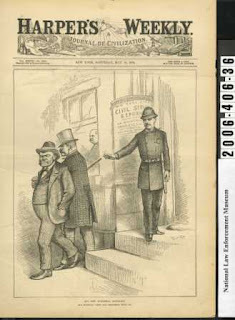 On receiving the print, we discovered that it was not really a policeman, but a cartoon using a policeman to illustrate Theodore Roosevelt working to improve the governance of New York City by attempting to rid it of its Democratic political machine known as Tammany Hall. Read more about Roosevelt’s reform efforts in NYC. This cartoon, published in May 1884, shows Governor Grover Cleveland sitting in the window, as Roosevelt attempts to throw out the two political “machines” of the Democratic Party in New York, Tammany Hall and Irving Hall. We need to conduct more research to identify the men labeled as Tammany Hall and Irving Hall. Roosevelt’s reform work was the beginning of a career in political reform efforts starting in the 1880s, continuing under his tenure on the Board of Police Commissioners in the 1890s, and completed as President of the United States. What other materials have we acquired that relate to Roosevelt? Try accessing our online catalog and search for “Theodore Roosevelt” and “police” and see what you find! Putting the Value in eVALUation: Part I--What is Evaluation? In the context of museums, however, evaluation takes on more of an emphasis of “analysis and comparison of actual progress versus prior plans, oriented toward improving plans for future implementation.” In this sense, museum evaluation is about enrichment—it is about setting, improving upon, and reaching measurable outcomes. As Evaluation Specialist at the National Law Enforcement Museum (NLEM), my role in this vein is to help examine the outcomes of our educational programs against each program’s goals and objectives and to make certain these line up with the Museum’s overall mission. While at times challenging, evaluation is the means by which we incorporate accountability and long-term effectiveness into the Museum’s work. 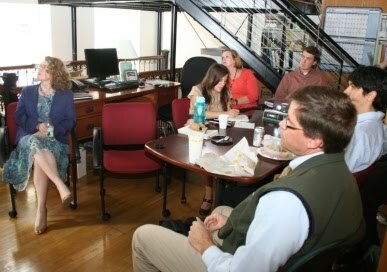 Although the NLEM is slated to open in 2013, the Museum Programs Department is planning to begin a number of its public programs just after groundbreaking takes place on October 14, 2010. With the support of the non-profit Institute for Learning Innovation, we are currently in the process of testing our programs. Over the next year and a half, the purpose of our testing is two-fold. First of all, over the next several months, our iterative testing (also known as front-end or formative evaluation) will provide feedback about early versions of our programs to inform decisions about how we can best modify and improve them. Secondly, we will use summative testing to evaluate the effectiveness of the final programs based on previously identified outcomes. In part two of this post, I will outline in greater detail different types of evaluation, discuss our identified outcomes and how we arrived at them, and use our recent testing to help put it all into perspective. Hello. My name is Warren A. Jefferson, and I am a junior at Cesar Chavez Public Charter High School for Public Policy. I am also part of the Teen Advisory Council (TAC) at the NLEM. The point of the Teen Council is to help younger citizens better understand the vital role of law enforcement in a democracy by having their viewpoints, interests, and perspectives heard and put into a film to be shown at the Museum’s groundbreaking ceremony in October. As members of the council, students will learn real life work skills in the areas of leadership, strategic thinking, project planning and team work. The project will be introduced on Wednesday, June 16 at a Pizza Party. Those that are interested in helping on the TAC and the groundbreaking project will meet once every two weeks. Although the video project is only a short term goal for TAC, we hope that over time, TAC will continue to work with the Education Programs team to give advice and guidance on the development of programs for teens across the country. The bigger goal is to help support the museum in its mission to build mutual respect between the public and the law enforcement profession. By doing so, we’ll be able to contribute to a safer society that serves to uphold the democratic ideals of the U.S. Constitution. If you know any teens who would like to get involved, email Betsy Bowers, Director of Education. She’ll let me know you’re interested, and one of us will be back in touch with you. Please join Museum staff on June 17 for an informational reception as we officially launch our Volunteer Program. Anyone interested in finding out about the progress of the Museum’s development and volunteer opportunities is welcome to join us. With groundbreaking activities taking place this fall, we expect to launch a few of our educational programs and increase the pace of the Museum’s development, thus providing many new opportunities for volunteers locally and nationally. If you are interested in volunteering or attending the reception, email Vanya Scott, Volunteer Program Manager, or call her at 202-737-7869. We are so incredibly excited to announce the date for the Museum's groundbreaking ceremony: October 14, 2010. After planning and working toward this goal, it's thrilling to be one step closer to opening. For all the details, check out this official press release. As the date gets closer, we'll have more information to share, including a schedule of events. Anyone is welcome to join us in person or online. In the meantime, continue to support our efforts by reading the blog, sending us your comments and ideas, donating artifacts, and following us on Facebook. Your support makes our efforts worthwhile. The term “shiv” is slang for any sharp, pointed object that is used as a knife, and can be created out of anything from a shard of glass to a hardened, sharpened toothbrush handle. Similarly, “shank” refers to a makeshift, knife-like weapon, and the two terms are often used interchangeably. The weapons seen here were all created from materials gleaned opportunistically; they show careful preparation and have been painstakingly sharpened, probably against a concrete floor or wall. Contraband prison weapons, ca. 1960-1980. 2007.70. Collection of the NLEM, Washington, D.C.
Mundane, easily available prison items are prime sources for contraband weapons. 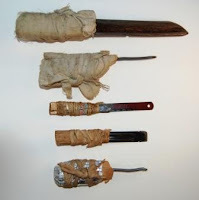 Dining utensils, machine- and wood-shop parts, and even meat bones left over from prisoner meals have been fashioned into lethal shivs and shanks. Toothpaste has been known to be used as a hardening agent when combined with paper, and thread pulled from prison uniforms or bedding is useful for “fishing” underneath doors or passing notes and other objects from cell to cell. 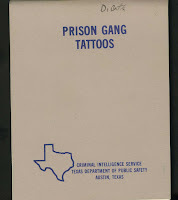 The type of materials used, such as thread, cloth scraps, foil, etc., make contraband easy to hide, and corrections officers are carefully trained to control access to potentially dangerous materials and effectively search prisoner cells and common areas for hidden contraband and caches. 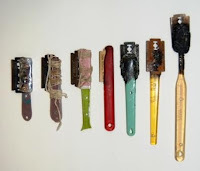 One commonly made contraband weapon was a slashing razor, assembled by melting a razor blade into the plastic handle of a toothbrush. The correctional system has introduced the use of safety items like the “no-shank toothbrush” (seen in the lower left of the safety items image, above the flexible pencil) and specially-designed disposable razors such as those produced by Bob Barker Company, a corrections supply firm who donated these items to us. Correctional safety hygiene products, ca. 2008. Prop Collection of the NLEM. Shown is clear toothpaste, flexible handled toothbrush, “no-shank toothbrush,” disposable razor, unsharpened safety orange flexible pencil. These items demonstrate the wide variety of objects in our collection. They document both the dangers that corrections officers face—there are close to 600 corrections officers on the National Law Enforcement Officers Memorial—and their response to those dangers. We will incorporate these objects into exhibits in the Museum and preserve them for future study. 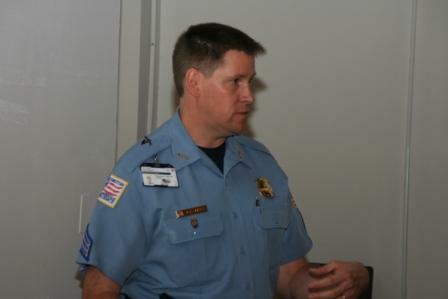 Chris Cosgriff is the founder of the Officer Down Memorial Page, Inc., and PoliceLink.com, two of the most popular law enforcement websites on the Internet. In 2009, with the approval of the officer’s family, Chris donated Inspector William Payne’s prohibition enforcement badge to the National Law Enforcement Museum. We asked Chris to write about this donation. Prohibition was one of this country’s darkest periods for law enforcement. Local, state, and federal law enforcement officers were being gunned down in city streets, basements of blind tigers, and in the hills and forests while searching for illegal stills. One of the most aggressive of these dry raiders was Inspector William Payne, who served with the Virginia Department of Prohibition Enforcement—the precursor to today’s Virginia Department of Alcoholic Beverage Control. Badge, ca. 1919. Gift of Chris Cosgriff. 2009.7.1. Collection of the NLEM, Washington, D.C. Inspector Payne was gunned down in Alexandria County (later renamed Arlington County), Virginia, on February 21, 1919. At the time, he held his department’s record for the highest number of arrests. Demonstrating his dedication to the job, he had already been shot and wounded during another raid the previous year. His story and legacy, along with his actual badge, were passed down through his family for almost 90 years. 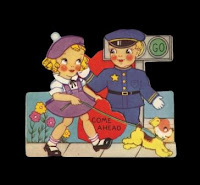 The badge, the only original Virginia Prohibition Inspector badge known to exist, ended up with his granddaughter, who donated it to the Officer Down Memorial Page several years ago for safekeeping until the National Law Enforcement Museum was ready to accept donations.